At Saucony, we exist for runners. Runners inspire us + force us to be better. They drive our design and engineering. They keep us competitive + honest. 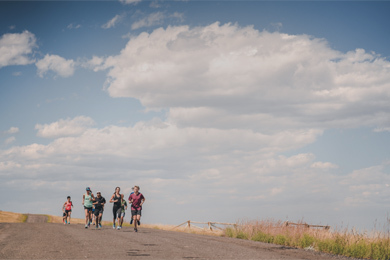 Our focus and passion fuels us as we strive to create the best running shoes and apparel. We strive to do everything we can to make runners’ lives better. At Saucony, a good day is when we get to run. A great day is when we inspire someone else to run. It's easy. We've partnered with Rakuten Affiliate Network to track all the activity you send our way. Competitive baseline commission structure starting at 4%. Search for the Saucony program and click “Apply”.